Adelaide’s Topham Mall is constantly being revitalised, thanks largely to Renew Adelaide. 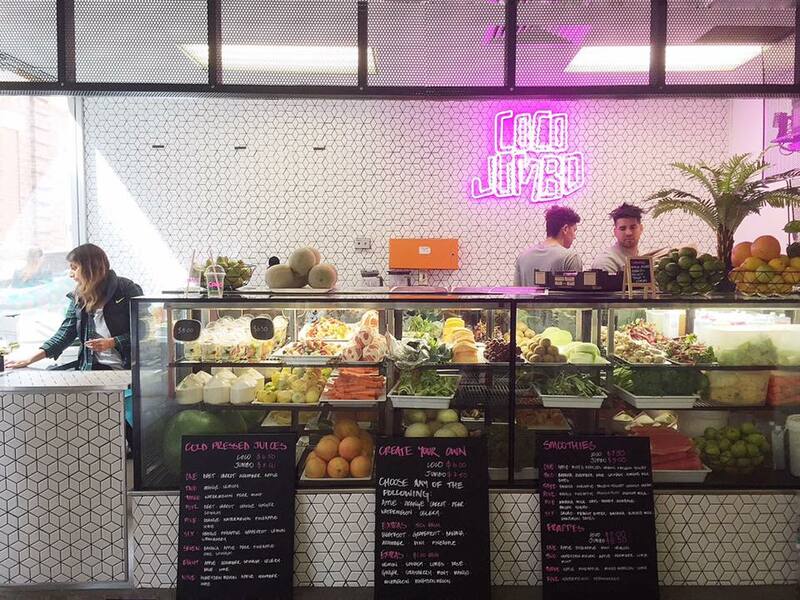 Up to their 121st project, Renew Adelaide have assisted in the opening of Coco Jumbo, a new health bar serving cold pressed juices, smoothies and frappes. There are 9 cold pressed juice combinations to choose from, but if you don’t like anything on offer, you can customise your own. There are also 6 smoothies and 4 frappes on the menu, all of which come in two drink sizes; coco and jumbo. The space where Coco Jumbo is located is owned by the Adelaide City Council. Renew Adelaide awarded the site to the owners, Dominic Matricciani and Andros Georgiou, two people with backgrounds in hospitality, sports coaching and fashion. One of the owners previously owned a health bar in the David Jones food court, but since that closed, they were always on the lookout for something to continue their journey. Like they say, when one door closes, another one opens. When the space in Topham Mall became available through Renew Adelaide, it was easy decision to go for it. “We have been recipe testing and working on making the space as inviting and fun as possible. We are close to the end of renovations, and literally can’t wait to bring our vision for Coco Jumbo to life. We are lucky that Renew Adelaide selected us for this space, and believe in us and our idea. We can’t wait to do what we do best – eat tasty food (healthy 80% of time) while having a laugh and enjoying some music” Says Co-Owner, Andros Georgiou. 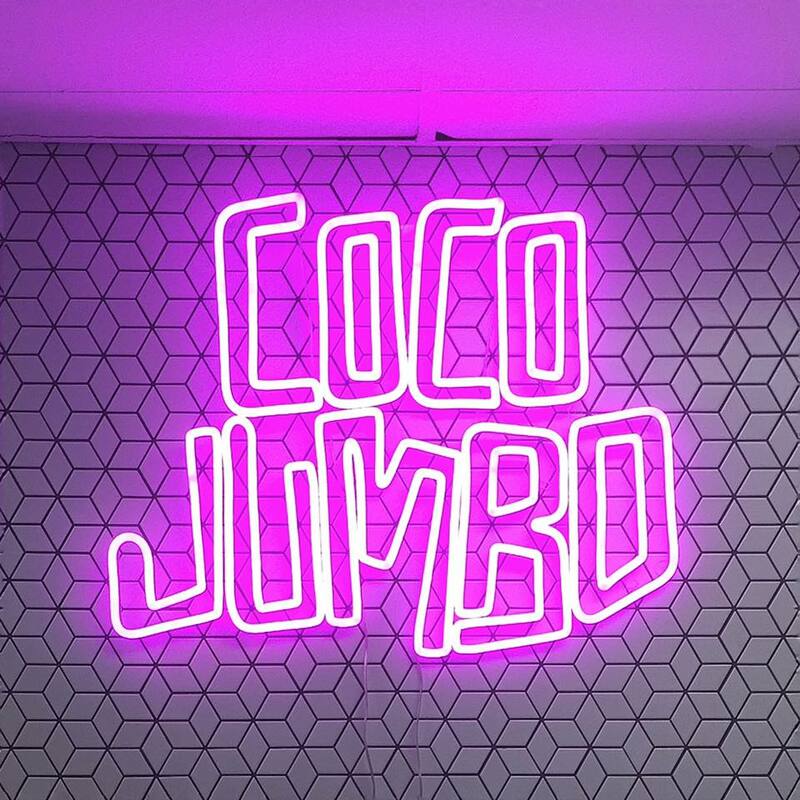 With the opening of Coco Jumbo, the businesses within Topham Mall have even a greater tenancy mix making it a perfect food destination for everyone that passes through. Health bars are all the trend at the moment, and there was a need for something like this in the area. If you’re feeling like something refreshing and healthy, make sure you check this place out next time you’re in Topham Mall.